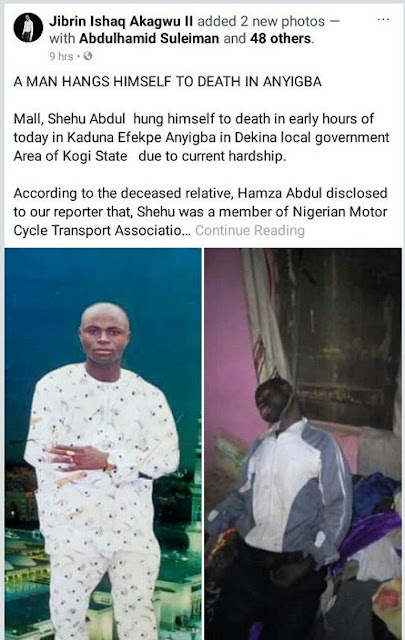 A man simply known as Shehu Abdul, hung himself in early hours of Tuesday in Kaduna Efekpe Anyigba in Dekina local government Area of Kogi State. According to the deceased relative, Hamza Abdul, Shehu was a member of Nigerian Motorcycle Transport Association (NIMOTA) Anyigba branch and had threatened to kill himself due to hardship. He however kept to his promise yesterday. See the sad photo after the cut.